As the crisis in the Eurozone rumbles on, and Italy teeters on the brink of economic disaster, threatening to pull Spain with it, you would expect the issue of Europe andSpain’s relationship with the EU to be at the centre of the main parties’ electoral campaigns. Listening to Rubalacaba you would think his party belonged to one of the European Parliament’s political groups fighting for a looser union and a return of powers to Member States. Rather the PSOE in the European Parliament recently voted to maintain first class travel for all MEPs despite the economic crisis, and one of their Members was caught signing in to claim her daily allowance and then heading straight to the airport to return to Spain. Well, at least his MEPs have listened to his slogan – they are clearly fighting for what they want. Rosa Díez, spokesman of the UPyD in Congress is facing a challenge from within her party today for the right to head the electoral lists at the forthcoming general election, and thereby become the de facto UPyD presidential candidate. The party rules allow for any member to contest primary elections for the key posts without the need for a minimum level of support. This has allowed five members of the party to put their names forward to challenge Díez for first place in the lists for Madrid. The election will take place today, and all party members in the country will have a chance to vote. Similar primaries are taking place in all the provinces across the country, as the UPyD seeks to establish which position each candidate will take in the forthcoming election. 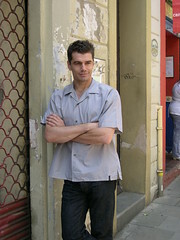 In Valencia, actor Toni Cantó (pictured) is seeking to head the lists. Former Prime Minister of Spain, José María Aznar, has warned that the European Union is facing a severe and profound crisis because of the “very bad decisions” taken by its leaders in recent years. Speaking in Washington, the former conservative premier who served between 1996 and 2004 said: “Europe is going through a very deep crisis, but we are capable or coming out of it. There is a serious risk that the European Union as we know it today could be unsustainable [because of] very bad decisions taken in recent years”. – Tying itself up in endless institutional debates which have impeded the ability to see the economic reality clearly. – Forgetting necessary compromises and not respecting established rules and procedures. 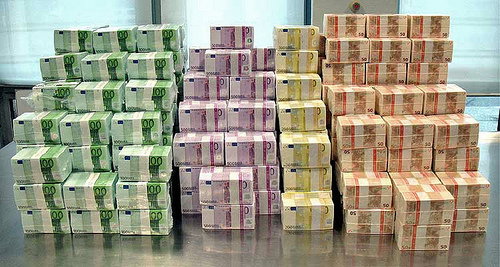 – Ignoring the seriousness and the depth of the economic crisis. 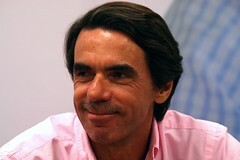 These errors, Aznar suggested, could lead to the possible “disintegration” of the Eurozone.